In our latest installment of how to organise a music festival, DiS goes behind the scenes with Beyond The Tracks founder John Fell, whose inaugural event is set to take place from 15th-17th of this month. DiS: This is the first year for Beyond The Tracks. Where did the idea come from to create a new festival in Birmingham? John Fell: We didn't put weekend tickets on sale to begin with. Initially, we just wanted to put on three separate gigs. We have three other festivals - Moselry Folk, Moseley Jazz Funk & Soul, and Lunar Festival. We've done the folk festival for 12 years and the jazz one for 9 but there's no camping at either of those so we introduced Lunar out in Taworth-In-Arden where there were facilities to camp. We've had a year off with Lunar but that's going to come back in 2018. Last year we also did Ocean Colour Scene's 20th-anniversary show for Moseley Shoals in Moseley Park which was really cool. Then we were just outside the pub, the Eagle & Tun, which is where most of our ideas come from, and saw the land outside sat in front of us so thought what a great place to have a festival. Had you always intended to hold Beyond The Tracks in September with that being the back end of festival season? It was. There's a lot of competition throughout the summer. The idea did come to us quite late and we didn't want to miss out on doing it this year. There's so much going on here in the summer but Birmingham has a population of over a million people so the potential is huge. There's also quite a big catchment area outside of the city as well so we saw it as the big last event of the summer. That last grasp to have one more party before winter kicks in. It just seemed like the right time to have a big party on Friday and Saturday then chill out on the Sunday. So yeah, it was intentional and everything seems to be working out quite well. We're expecting the last two weeks before the festival to go quite ballistic in terms of ticket sales. Who do you consider as being your main rivals on the festival circuit? Probably ourselves at the moment because we keep putting so many festivals on! In terms of other festivals, it's hard to say. We don't really look at that. There is a lot of cool stuff going on in Birmingham. We have a big electro scene here and there's also the Magic Door nights which are really cool. We're all quite tuned into each other here and we put on a lot of the after parties at The Rainbow so it's difficult to say who are our rivals in this city because everybody tends to work together. We all push their events and they push ours. It's quite a strong community. All of the music venues work together and share each other's events. It's a really nice network up here so in terms of competition and especially due to our location and time of year, there isn't anyone that immediately springs to mind. Will it be an annual event? We're planning to test the water with this one, have a year off then come back with something bigger the following year. So definitely. The main reason we're not doing Beyond The Tracks next year is because the new HS2 is set to go through the site but then that gives us an extra year to plan a bigger event for when we do return. It's sad we're going to lose the land next year but we're already looking at other sites so we'll assess everything after this year's festival and see what we can improve on for 2019. Do you think there is an appetite for an event like this in Birmingham and the West Midlands in general? I think so. Birmingham does seem to be on the crest of a wave at the minute. When people come here and realise just how much is happening in the city they can't quite believe it. I think Birmingham's real problem is it doesn't shout about itself enough. We're quite self-deprecating people on a national scale. It is starting to change and we've seen that with the other festivals we put on in Moseley. But then that's regularly cited as one of the most desirable places to live in the UK which helps. But it really is a great city. We have all these little subcultures going on up here. It hasn't quite amalgamated into one big thing yet which is what we're trying to do. Hopefully, we'll create a flagship festival for the city and put a mark on the national scene at the same time. We're in a really good location as well being in the city centre so we hope it becomes a stepping stone towards the continual improvement of the city. What's the capacity? Are you looking to increase in numbers when the festival returns in 2019? The capacity this year is 10,000 people per day but in terms of ticket sales that was never our aim realistically. We're aiming for around 5,000 per day which we're heading towards now. Hopefully, the last two weeks leading up to the festival will push us past that. Which acts are you most looking forward to seeing? That's a really difficult question! For me, Sunday's an insane line up from start to finish. Not just the headliners but people like Josefin Ohrn and Nadine Shah lower down the bill too. They're just incredible. Then you have legendary performers like Slowdive, The Jesus & Mary Chain and Peter Hook on the same day as well. It's one of those days where if you're really into alternative guitar music, it's quite unmissable to be honest. I suppose it's the same for all of them. I am quite excited to see Orbital and Leftfield as well. To put those two on in the city centre on a Friday night is quite a bold thing to do. And it's the opening night too so I'm quite intrigued to see how that pans out. Did you get every band you wanted to book? Did you have a wishlist of bands from the outset? There's always a wishlist with every festival I book for so I'm pleased with how this turned out. Ocean Colour Scene were always on the cards after how well their show went last year. Then after we got them it made sense to go for bands like Maximo Park and The Coral. They were two of my favourite bands when I was growing up so it made sense to have them on the indie day. So once they were in place the rest of that day pretty much formed itself. We curated the Sunday with Editors so ended up batting a few ideas backwards and forwards and The Jesus & Mary Chain and Slowdive just happened to be the first two names on that list then we all thought Peter Hook would be a great addition too. The line up just developed as we went along. Friday was the most difficult to put together as we weren't sure what we wanted to do. Initially, it was just going to be three separate gigs but then when we toyed with the idea of creating a festival and after hearing Orbital had reformed thought let's try and create this big Friday night party. Then Leftfield announced they were reissuing Leftism and touring it so we decided to go for them as well. At first, I thought we'd only be able to get one or the other so when both agreed to do it we announced them as joint headliners. Even then we weren't sure what to do with the rest of the bill. Whether to just go with more electronic acts so it's a single brand every day or mix in some guitar acts. Are you worried about some of the adverse publicity other UK festivals have received in recent weeks? It does worry me a little. We've been doing our festivals for 12 years now since Moseley Folk started but this is our first one in the city centre. While it's horrible to hear about what's happened elsewhere, because we're one of the last UK festivals this year it does feel as if we're being constantly reminded about things that can go wrong. A lot of the problems this summer seem to be around queues and getting people in. So we've looked at that and already doubled our staff on the Friday which is probably going to be our biggest day in order to make sure everyone gets in fairly quickly. We want to make it an enjoyable experience for everyone. I guess what's happened elsewhere has given us an opportunity to sit down and use those as a benchmark of what needs to be in place here. Things can go wrong on the day so be prepared. I'd like to think we already are anyway but in light of what's happened at other festivals recently, we're definitely taking extra precautions. What advice would you give to someone wishing to start their own festival? We're doing Beyond The Tracks because we already have other festivals so it all goes into the same pot meaning we can afford to risk a bigger event. So I guess the first piece of advice I'd give is do it for the right reasons. Don't just start a festival if your only intention is to make money. It's a labour of love when all's said and done. Have an idea that you really want to push. Also, start small and learn the lessons gradually, especially if you've never done it before. Try and grow it organically. The financial commitment is absolutely huge so learn the ropes and cut your teeth on something that's manageable. I don't know the full story behind the ones that have failed this year but you should always learn to walk before you start to run. Don't try and be too big from the outset. Do you think a lot of these problems elsewhere could have been avoided if the UK festival market was regulated better? It's difficult to say. I like the idea of independent promoters being able to go and do their own thing without being pushed down by big corporations. It's not the way. Some of the best festivals I've been to are where a group of people have just got together and created something entirely of their own doing. Also, how do you regulate the market? I don't see how you can without just passing every festival on to the big promoters but then you'd end up losing a lot of charm and individuality. If anything, regulation could be the death of the festival scene because everything would end up being cornered by big corporations already tied into booking agencies and eventually all become the same. So I think it's important to have independent promoters doing things a bit off centre provided they're in it for the right reasons. Some horrible things have happened this year so fair play to Skiddle and Seetickets who've refunded people rather than the festivals themselves which is a pretty admirable thing to do. But as far regulating the festival market I'd probably say no. The music industry is already regulated enough! Do you think it's up to festival organisers to offer a wider range of activities nowadays beyond the music when trying to create an overall experience for the customer? It depends. With Beyond The Tracks a lot of the experience will be about it being in a new venue in Birmingham. You could do Leftfield or Orbital at the Institute or Academy but essentially what we're doing is putting on a really cool outdoor weekend gig in the city centre. So it will have a different feel, a different atmosphere to what people are normally used to indoors on a Wednesday night. I do think there is a responsibility on the organisers to make the experience as free and easy as possible. One thing I really struggle with is being at a festival where I'm struggling to get a beer or queuing for ages to use the toilet or just get in. That's what really gets most people's backs up. But I do think taking a great line up into a really cool new space can be an amazing experience as it is. Whereas if you're expecting people to go away and camp for a weekend you do need to offer more. I suppose it's all down to the customer really but if camping is also a part of the festival then you're bordering on holiday territory so would have to enhance the overall experience in order to justify the extra expense. The food and drink should always be top quality anyway. That should be a priority as much as the music. 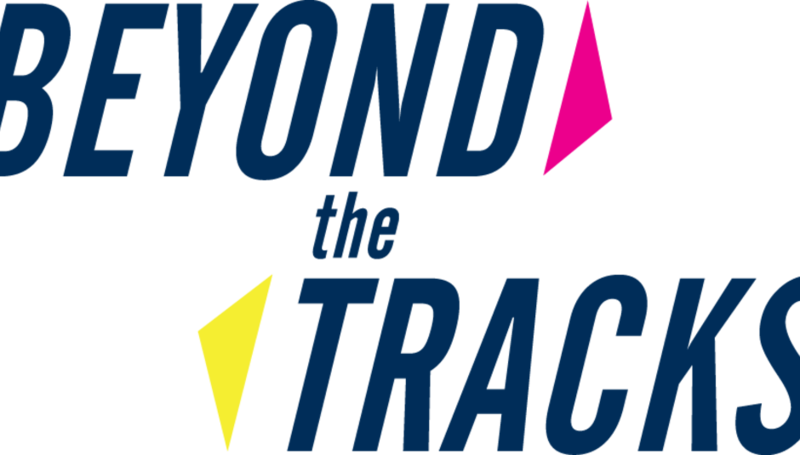 For more information on Beyond The Tracks visit their official website.